Widest range and traditional Zilant trademark quality at a reasonable price! Compact and decentralized systems of combined extract and input ventilation with heat recovery (Zilant SCEIVHR 125 and Zilant SCEIVHR 200) guarantee the ideal indoor microclimate and cost saving of at least 50% for their heating and conditioning. There is no alternative! • Compact decentralized systems of combined extract and input ventilation with heat recovery “SCEIVHR 125” and “SCEIVHR 200” of Zilant trade mark. In the course of towel driers production, the electric-welded (TIG technology) corrosion-resistant tubes (32х2 and 18х1.5) and stainless steel plate, which are applied in the food processing industry and have the Russian certificate of conformity, are used. All surfaces of towel driers are polished to 12 cleanliness class. All water towel driers of Zilant are tested under the pressure of 24.5 atmospheres, which guarantees their durability. Towel driers are absolutely resistant to corrosion. Electric towel driers are equipped with the dry-type heating conductor and thermo-contactor (optional). The surface of towel drier automatically maintains the temperature from 55 to 60C. Total power consumption of towel drier with thermo-contractor ranges from 15 to 45W. Compact decentralized systems of combined extract and input ventilation with heat recovery of SCEIVHR 125 and SCEIVHR 200 type ensure the continual indoor air change, creating and maintaining the ideal microclimate in a short time, as well as reducing the total heat losses for more than twice. At the same time, SCEIVHRs consume no more than 30W/hour and enable (not interfere) the operation of existing indoor exhaust ventilation systems and gas facilities (boilers, water heaters, stoves). Zilant SCEIVHRs feature 4 operation modes (energy saving, intake, air extract, ventilation), as well as automatic ice and supercooling protection. These systems ensure the air change: SCEIVHR 125 – from 40 to 125m3/hour, SCEIVHR 200 – from 60 to 200m3/hour (due to the performance level chosen by the consumer). SCEIVHRs have 9 time intervals for ventilator, which operates in the energy saving mode (either intake or air extract modes). It allows the optimal setting of SCEIVHR for maximal energy saving at different outdoor temperatures. The noise level of system ranges from 20 to 40dB. SCEIVHR has the remote controller. The consumer may be provided with the following options: control unit with display, smoke detector relay, CO detector relay, CH4 detector relay, energy-saving heating element, bus for installation in “Smart house” system, unit for centralized control of up to 10 SCEIVHRs (considering all combinations and operation modes). Extension-type air conduits of SCEIVHR 125 and SCEIVHR 200 fully fit in the external wall, taking no indoor space. The diameters of their ducts are 132 and 200mm, correspondingly. 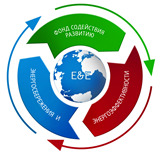 All manufactured products, being insured by JSC SOGAZ, have the Russian GOST R certificate. Service life of products, manufactured by TH-ZILANT LLC, is unlimited. Warranty period is 1 year.